October marked one year into the Young Marriage and Parenthood Study (YMAPS) that brings together research from Young Lives (Ethiopia, Peru and the Indian states of Andhra Pradesh and Telangana) and Child Frontiers (Zambia). YMAPS is generating new evidence about what it is like to be an adolescent or young person who is married, in an informal union or a young parent in these settings. We did not begin the study with the acronym YMAPS and it took some time to finally decide on the project name. The geographical reference and ‘maps’ metaphor is intentional: firstly, the study aims to understand the life pathways of young people with respect to marriage and parenthood and secondly, we are interested in comparing young people’s experiences across different geographical contexts. We take this opportunity to launch the first YMAPS policy brief ‘Understanding child marriage: Insights from comparative research’, highlighting findings from Young Lives and Child Frontiers’ earlier research on child marriage. The brief serves as a springboard into the next step for YMAPS research looking into the consequences of child marriage. A major activity in the project’s first phase was to review the national and international academic and policy debates and to reach out to key stakeholders to help us identify knowledge gaps and where YMAPS might add value. 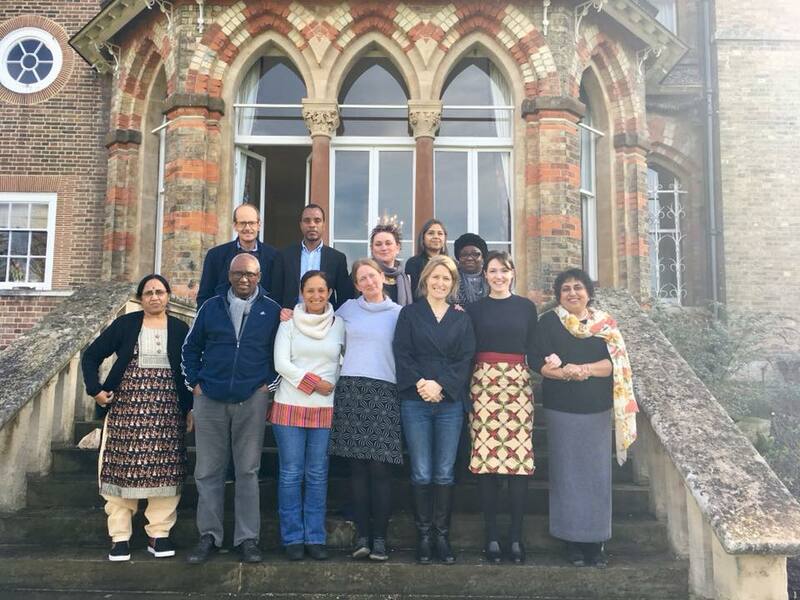 Last February, country teams reported back on their findings during the first YMAPS project meeting hosted by Young Lives in Oxford, bringing together team members from Addis Ababa, Delhi, Lima, Lusaka, Ottawa, Oxford and Tirupati, and representatives from IDRC (the project funder). Our reviews found that there is more evidence than ever on the drivers and predictors of child marriage, but there is much less evidence of policy, interventions and research focused on married girls and young women, couples and young parents, especially in the early years of marital life. Less still is known about cohabitation and other forms of union. The tendency to focus on individual girls and young women has meant that the experiences of boys and young men are marginal. Longitudinal data is lacking on the intergenerational impacts of adolescent marriage and parenthood. Moreover, we found that not enough consideration is given to the structural and contextual influences (urbanisation, migration, low levels of formal employment, climate change, food insecurity, etc.) affecting child marriage. Following the project meeting, we began to design the qualitative research tools in earnest ahead of the first fieldwork beginning earlier in the summer. New data collection is underway in Ethiopia, Peru and Zambia (photo) – working in one rural, urban, and peri-urban community in each country. In addition to looking into experiences of early marital life, we are gathering data on the joys and challenges of young motherhood and fatherhood, and whether their fertility outcomes match their earlier preferences and why. Findings from each country will be synthesised in a comparative report due out late 2019 and will include findings from a recent study undertaken by Young Lives in India (see report). YMAPS is fortunate to tap into its comparative advantage, including four countries across three continents. There are striking differences between and within countries: for example, there appear to be more unions between adolescent girls and adolescent boys, and more examples of pregnancy before marriage and cohabitation in Zambia and Peru; a predominance of traditional arranged marriages in India, and a combination of arranged marriages, peer relationships and elopement in Ethiopia. As described in the policy brief, the transition to marital life is often difficult for adolescent girls and young women; there are few services designed to meet their sexual and reproductive, study and training, or social support needs. The policy concerns differ too. In Peru the discourse is framed around ‘teenage pregnancy’ since young people tend to be in informal unions rather than formal marriages, whereas in the other three countries, early, forced and child marriages are the policy concern. Across these contexts, we are discovering great diversity in young people’s actual experiences. Draft country reports will be available early 2019, and in the meantime, readers can look forward to learning more about what is coming out of the research through monthly blogs, including reflections from local fieldworkers. The best way to stay on top of developments within the study is to follow us on Twitter (@yMAPStudy) and to check the Young Lives website which hosts the YMAPS project. We will be posting information in due course about YMAPS global symposium on young marriage and parenthood which the Ethiopian Centre for Child Research (ECCR) will host in Addis Ababa in early 2020.